Conservative. The party of and for big business and people of wealth. It’s objective is to channel as much wealth as possible from the nation as a whole to themselves which in turn means controlling the people and the systems as much as is possible. Traditionally their leaders have come from a few elite families and have bred into them the belief that they are the chosen few who know best and have closed minds to any alternatives that might detract from their prime objective which, as I said, is to increase their wealth. Labour. Would like to be a Socialist Party and clings to the memory of what they once were. Over the last few decades they have been cleverly manipulated by the Conservatives and have now become a shadow of their former self whilst morphing into a well meaning, slightly more caring version of Conservatism. They yearn to be more socialist but fear the power of the conservative media to ridicule them and so water down their policies or even attempt to be more Tory than the Tories. Lib/Dems. By and large made up of well meaning people with some sensible policies. Due to our voting system their chances of forming the government are virtually nil. This has lead to great and understandable frustration so when the chance came and the Tories offered them a coalition ‘partnership’ the chance of some power was too much and they supped with the Devil. The Conservatives are nothing if not clever and manipulative as the Lib/Dems found to their cost. For the time being at least, they are a spent force and will have regroup and rethink. UKIP. Mainly a one man party, Nigel Farage. Son of a stockbroker, privately educated with wealthy Conservatives and became a City commodities trader. He makes his pitch getting out of the European Union and panders to readers of red tops in particular. A very good rabble rousing speaker of little substance. UKIP attracts idiots and buffoons as it’s candidates as well as a following from the uninformed and far right nationalists. If one looks at such other policies that they have formulated it is easy to see that they are in fact the very worst face of Conservatism and if they were ever enacted would bring this country to it’s knees. Green Party. Used to have the reputation of being the home of lefty tree huggers and environmentalists. but over the years has grown steadily into a political party of substance with many councillors spread over the country, several MEPs and so far, one MP in Parliament, Caroline Lucas, who is arguably the most sensible member in that place of intrigue and regarded with much respect. Definitely to the left of the political spectrum but with a much more realistic understanding of how to make business work for the nation as a whole along with an understanding that policy should be made with an eye on the long term future, rather than the short termism that dogs the two main parties. Your Vote and the General Election. Unless you belong to the very wealthy elite or believe in paying higher taxes for less services then the Conservatives are not for you and so you must choose from the rest. To not vote at all is an abrogation of responsibility. Should your constituency be a very safe Conservative or Labour one then why not use your vote to give the Green Party a lift. Live in a marginal where it could go Tory or Labour? Well, unless you are in the small group above then Labour is the obvious choice. Or perhaps you live where it’s likely to be either Tory or Lib/Dem? Then remember the Lib/Dems supported the Tories right through this Parliament and so consider voting Green as your protest and who knows, if enough vote with you maybe some more Green MPs to back up Caroline Lucas. Whatever you do don’t vote UKIP! Can You Help Me Here Mr Cameron? OK, let me get this straight Mr Cameron as I really want to understand. Are you saying that Assad who is winning his civil war deliberately gassed some of his own people to provoke the US and it’s lapdog, us, into dropping bombs on Syria that will kill even more people and possibly Assad himself and his family? I really want to get this right so help me to grasp the thinking will you Dave? So we drop bombs on Syria until the opposition wins, is that it Dave? The opposition though are mainly made up of Islamic Fundamentalists who hate us, right? So is the hope that because we helped get them into power they will turn all sort of lovely and friendly and give us lots of oil at a knock down price? By the way, I know being gassed must be a horrible way to die but can you explain to me why it’s worse than having your intestines ripped away or your legs blown off by a shell and dying slowly from that? I must admit I’m still struggling a bit with the theory Dave but I’m sure you know best; or do you? Would you pay £47.51 for a chicken? Of course not! If the cost of chickens had increased at the same rate the same rate as house rentals over the last 30 years that is what you’d be paying. A majority of people believe that benefits should be cut, they have swallowed the Tory lies. Housing benefit rose by £1 billion last year and you are lead to believe that it went to the lazy workshy or to single mothers or to drug addicts. In fact 98% went to people who are actually in work! The continuing shortage of housing and landlords greedily ripping off the State are the reasons behind this incredible increase; to cut benefits is to tackle the problem from completely the wrong end. Cameron’s answer is to compel thousands of our fellow citizens to move hundreds of miles from their homes, their friends and families, and to drag children away from their schools. Under 25’s to be forced to go home to their parents after further education or training rather than starting employment (if they can find any) on low wages because they simply can’t afford a roof over their head. This is the economics of the madhouse. The arrogance of this extremely wealthy Prime Minister beggars belief, in that he thinks that by kicking away the crutch of a cripple it will make him walk. He cannot countenance the real solution as this would possibly affect his and his rich friends grasp on the national wealth. Embark on a massive house building program which not only employs building workers but also manufacturing by way of the building materials but also every new home will need carpets, curtains, furniture, the list is almost endless, creating even more jobs. Rents to be controlled by law and the National Minimum Wage increased substantially to catch up with what it should be worth. This would also put more of the burden onto employers rather than the tax payers. It was announced today that government borrowing for the month of May increased by £2 billion more than expected due mainly to lower tax receipts. What the hell do they expect? 2.6 million out of work and 1.4 million in part time work wishing they were in full time employment and therefore not paying any or very little income tax. This regime is a cancer spreading over our land and the only therapy that will work is to cut it out and soon. 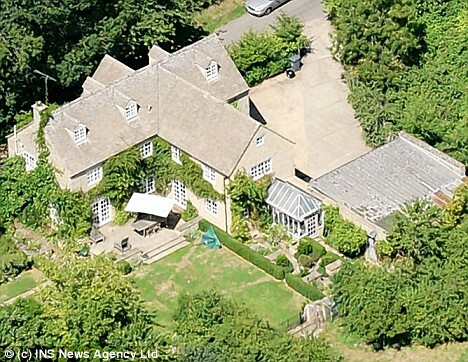 Interesting start to the day; I was just doing a little research into David Cameron and came across a nice aerial view of his home in Oxfordshire valued at around £800,000 and then his London home at around £1.5million bought with a tax payer funded mortgage of £375,000. 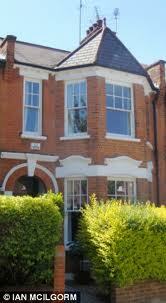 In addition he owns a £2.7million pound house in Notting Hill that he rents out for £6000 per month. I was reminded that he is also a slightly distant cousin to the Queen and his father was a wealthy stockbroker. I linked this sarcastically on my Face Book Wall to “We’re all in this together”! This initiated a selection of humorous remarks such as ‘poor man, he’s not even got a tennis court or swimming pool’. Within minutes The Daily Mail published an item showing that a Tory donor and boss of one of the largest lobbying company’s in the UK, Lord Chadlington, had purchased property and land adjacent to Cameron’s and had sold some of this land to enhance Cameron’s. The Prime Minister did not register this transaction in the MP’s Register of interests claiming that as he paid more than the market rate for the land there was no profit involved. Maybe not at the present moment but as Cameron extends his estate it certainly will in the not so distant future. Nest feathering continues apace. The sleeze and cronyism goes on while the masses can only write humour on Facebook. Ian Duncan Smith is about to unveil plans to force the long term unemployed to do unpaid work. What work you may ask? Well, work that used to be done by people who had ‘proper’ jobs employed by local councils etc but have now been made redundant by the government’s cut backs. Of course the long term unemployed need encouragement to get back to work if possible but this encouragement should be along the lines of ‘Here’s a job you could do, we’ll arrange an interview.’ This plan of the Tory’s is little short of forced or slave labour given that for a start there are five unemployed people chasing every vacancy and that’s before the cuts really bite. If this is where our country is headed then I’m ashamed to be British and this disgraceful coalition should hang their heads in shame too but I doubt very much it’ll happen. Remember Thatcher flogging the family silver? Water, electricity, gas, British Rail and more? Now Cameron and his renegade side kick Clegg have wasted no time in picking up the handbag and are now about to sell off our Postal service. Using the same con trick of Thatcher the employees will be offered the carrot of getting some of the shares but inevitably they will be forced by the hardships about to descend on us to sell them off. The shares of course ending up with the rich and multi national corporations. What will be next on their agenda of party political theft? I suggest keeping a close eye on our National Health Service, not in one go of course but little by little by stealth. Our only hope is the collapse of this disastrous coalition and another election to correct our mistake of last May.